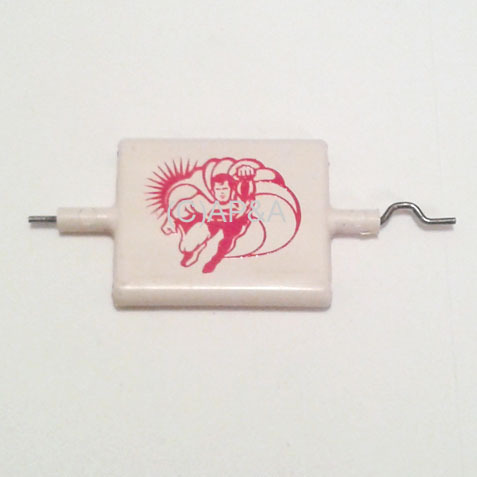 Factory original NOS right-side spinner target for Atari Superman pinball. NOTE ON CONDITION: This is an original part from approx. 40 years ago and will have some very small minor superficial scuffs, scratches, and/or nicks from having been stored in a box on a parts shelf for many decades. Please do not expect meticulous mint perfection if ordering this item- it is simply an old original unused part. If you have any questions or concerns about condition of this item, please ask before ordering.